Between 1883 and 1969 the lives of Aboriginal people and their families in New South Wales were governed by a board which issued directives on housing, clothing, food rationing, marriages, religion and education. There’s a great need to pass on our stories to the next generation. Recognition of history and past wrongs will allow us to work together for a better future. Most controversially the Aborigines Protection/Welfare Board also removed Aboriginal children from their families, segregated them, and placed them in institutions. Nearly half a century since it was closed down, and with many people subjected to these controls now deceased, researchers are racing to document this history through the eyes of the people it affected before it is too late. Lead Chief Investigator Professor John Maynard from the University of Newcastle says it’s vitally important that the research is carried out while the people who lived under the control of the Board are still living. 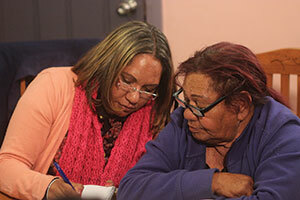 The four-year study responds to the longstanding desire of the Aboriginal community to have these experiences recorded. A strong component of the research will be interviewing people who lived on reserves and missions during this time and documenting their memories and stories. Dr Barker’s research will focus on the experiences of community members from the old Brewarrina mission in Western NSW. Research will also encompass the correspondence from the Board kept by Aboriginal people and recent finds in the NSW State Archives, information from families, cultural collections, local history societies, museums, and the NSW State Library. Set in Armidale in northern New South Wales, UNE promotes and supports a network of researchers — both staff and students — who are seeking solutions to complex national and international problems. Although the scope of our research is broad, we have a particular expertise and focus on regional and rural communities and environments.